Julie Flapan, left, and Jane Margolis say that becoming digitally literate should be required for everyone. 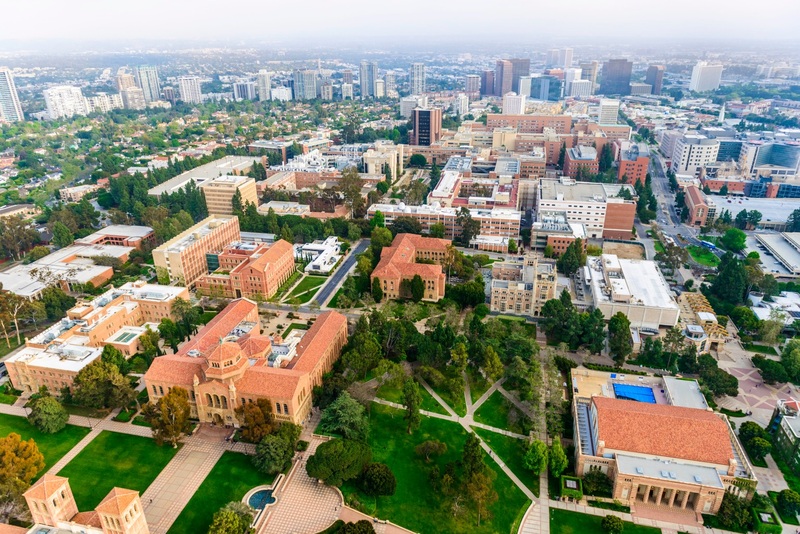 Jane Margolis, senior researcher at UCLA’s Center X, brings her firsthand experience of inequities in a technical field to her work on bringing computer science education to all students. A summer job as a telephone operator shortly after college led her to become one of the first female telephone installers for Pacific Telephone and Telegraph in the 1970s. She went on to Harvard’s Graduate School of Education where she studied gender socialization and gender, race and inequities in education. Margolis emphasizes that her work around computer science has always been about inequality and how fields become segregated. As a researcher at Carnegie Mellon University in the mid-1990s, she was asked to conduct a research study on the lack of female students in what was one of the top computer science departments in the nation. Her findings resulted in her first book, “Unlocking the Clubhouse: Women in Computing,” which she co-wrote with Allan Fisher. Margolis’ work led to more research funded by the National Science Foundation, on why so few African-Americans, Latinos and females were learning computer science in Los Angeles public high schools. The findings revealed the disparities in learning opportunities that fell along race and socio-economic lines, resulting in her second book, “Stuck in the Shallow End: Education, Race, and Computing,” with she authored along with Rachel Estrella, Joanna Goode, Jennifer Jellison Holme and Kim Nao. 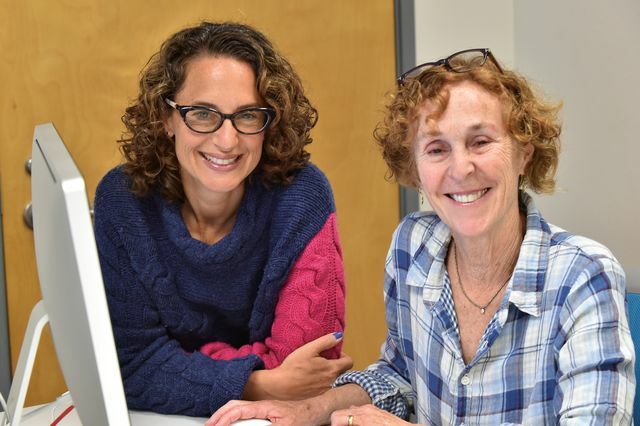 In response to the findings, Margolis and colleagues founded the Exploring Computer Science curriculum and teacher professional development program, which is housed within UCLA Center X’s Computer Science Project. ECS is now a national initiative in seven of the largest school districts in the nation, including the Los Angeles Unified School District, the second-largest district in the United States, which has 31 schools in the program. In addition to NSF-funded projects, code.org included the Exploring Computer Science curriculum as the core high school course within their district partnerships across the country. Margolis, along with fellow researchers and computer science advocates, helped found the Alliance for California Computing Education for Students and Schools, known as ACCESS. UCLA alumna Julie Flapan, who graduated in 2001 with her doctorate in educataional leadership, serves as the director of the UCLA Computer Science Project and is also the executive director of ACCESS. The mission of ECS is to democratize K–12 computer science knowledge and to increase and enhance computer science learning opportunities for underrepresented students, specifically African-American students, Latina and Latino students and females in underserved schools. The ECS program includes professional development for teachers encompassing inquiry, equity and computer science content. The culturally responsive curriculum and teacher education includes an examination of the stereotypes of students who can learn computer science and recommendations of policy change that can institutionalize computer science learning, particularly in schools with high numbers of students of color. “Computer science education has been involved in the production and reproduction of inequality, and we are dedicated to changing that,” Margolis said. In early 2017, Margolis and Flapan published a commentary in Education Week titled, Stop Scapegoating, Start Educating, that highlighted the need for teachers, schools and families to prepare all students with computer science education, not only for participation in the 21st century job market, but also to empower students to take part in social and political systems in the United States. With this year’s release of an updated edition of “Stuck in the Shallow End,” Ed and IS magazine [where this story originally appeared] spoke with Flapan and Margolis — who in 2016 was selected by President Barack Obama as a White House Champion of Change. They discussed why their work focuses on equity in computer science and how computing knowledge beyond consumerism can prepare today’s students for college, careers and civic participation. How do you ensure that all students have access to high quality computer science? Julie Flapan: We bring educational theory about equity into the world of computer science education and are working on parallel tracks to increase demand at the local level for CS in our schools, while also working at the state level to ensure equitable access to teaching and learning opportunities. This includes expanding the pool of teachers who can teach high quality computer science by providing professional development in equity and curriculum. One of the pillars of [the Exploring Computer Science program] is that teachers have intensive preparation to teach the curriculum, which includes research-based culturally responsive pedagogy. How has your partnership with LAUSD informed your statewide advocacy? Jane Margolis: Our experience with implementing ECS in local districts provides research-based evidence as we scale up computer science statewide. Our efforts to ensure access to high-quality computer science are informed by this research as we insist that equity and inquiry must be integrated with meaningful computer science content. Flapan: ACCESS promotes public engagement to build the political will to support opportunities for teaching and learning computer science for all kids. We’re always asking the tough questions about the potential unintended consequences of well-intentioned proposals, and what research and experiences we can provide to help education leaders and policymakers make more informed decisions to benefit all California’s students, especially those who are underrepresented. With the growing demand for CS education, where will the teachers come from? Flapan: Most people are surprised to learn that there is no single subject CS certification for teachers. ACCESS is working to expand the pool of qualified teachers by updating a computer science supplementary authorization that will allow interested teachers from a variety of subjects to teach computer science. Margolis: Our initiatives are all dependent on teachers being active proponents in broadening participation and challenging the underrepresentation that has persisted in this field. There is also a need to bring computer science education into teacher preparation programs in graduate schools of education nationwide. We, along with other people, are working on this. Flapan: Computer science is not just about learning how to use the computer, or even just programming. Computer science is really about deeper learning — computational thinking, problem solving, design, algorithmic thinking, and creativity that goes into technological innovation. It crosses a broad range of career opportunities and it is important to expose kids to possibilities that they may not even know exist. Can you talk more about the new CSforAll movement? Flapan: Computer science is now on the national education scene and has become part of a broader CSforAll movement which was supported by the Obama administration. Many cities, states and large school districts across the country are leading bold initiatives to expand computer science education, led by governors, mayors and other elected officials. There are a handful of national coalitions like Code.org, Expanding Computing Education Pathways, and the CSforAll consortium that are helping states address issues like computer science standards, funding and teacher credentialing issues. All of the states are learning from each other. ACCESS has worked hard the past few years to provide evidence-based research that informs policymakers and other key decisionmakers about the most equitable and effective strategies to scale up computer science. We are working in partnership with a diverse group of organizations and school district leadership on launching a CSforCA campaign to broaden our coalition, build capacity of local leadership and increase communications about the importance of computer science education and ensuring equity and access across California. What are the benefits of focusing on a more equitable approach to computer science education? Margolis: Computer science has been a highly segregated field. There have been so many strong biases associated with computer science, such as it is best suited for white and Asian male students who are assumed to be the “best and the brightest.” But, we have found the “preparatory privilege” of home resources, early access such as going to computer camp or having a tutor, really gives a jump start for a narrow strata of students. People assume that these are the students who have “innate” talent. What’s next for the Exploring Computer Science program? Margolis We’re at a very critical juncture between our roles as both researchers and program providers. There’s always a tension when an educational reform program scales really fast. We want to make sure there’s an iterative cycle of learning as we scale, keeping equity at the center. We just received NSF funding for the next five years to conduct another wave of research to highlight the experiences and trajectories of students and teachers going through the program. We will also facilitate a national teachers learning community so that we are able to leverage all the learning that is going on among ECS teachers and program developers. Flapan: Computer science is now recognized as its own discipline in K–12 and is also getting integrated into other subjects such as math, science and art. Before ECS, there had never been a computer science course that was designed to be culturally responsive and to appeal to all kids with the expressed intent to expand participation among girls and students of color. There are a lot of institutional forces at play that challenge the introduction of a new discipline to the education system, especially with deeply held biases and beliefs around who can be successful in computer science. Our work is centered on making sure that the focus is on equity so that all kids have access to meaningful and sustainable computer science education.